Thank you all for your helpful thoughts and advice on my Christmas ornament last week! I’m still a bit stressed about whether my decisions are really in the best interest of the project or if I’m just trying to rush through lazily so that I can move on to the next thing. With that being the case, I’ve decided to take a little break from cross stitch for a while and try out a new craft or two. I’ve bought a book on goldwork (this one) and I’m feeling really inspired to try quilling from looking at the incredible pictures on Junoesque by Neha. I’ve also got some old surface embroidery projects half finished, and a couple of barely started embroidered tablecloths that I inherited from my Nana and would love to work on. This year, I have decided, is going to be Drama Free 2016. After the roller coaster of non-stop crises and panics that was 2015, I am determined not to do anything at all this year to rock the boat – it’s going to be smooth sailing and calm waters for the whole of 2016. I’m going to focus on finishing the current modules of my University course, do my best at work without pushing for any more advancement or responsibilities, and take better care of myself, my family and friends. I think last year I was trying to do way too much at once and it all blew up in my face, horrifically and repeatedly – but no more, because this is Drama Free 2016! To get my year off to a good start, I want to share some happy crafty news – I won a prize! 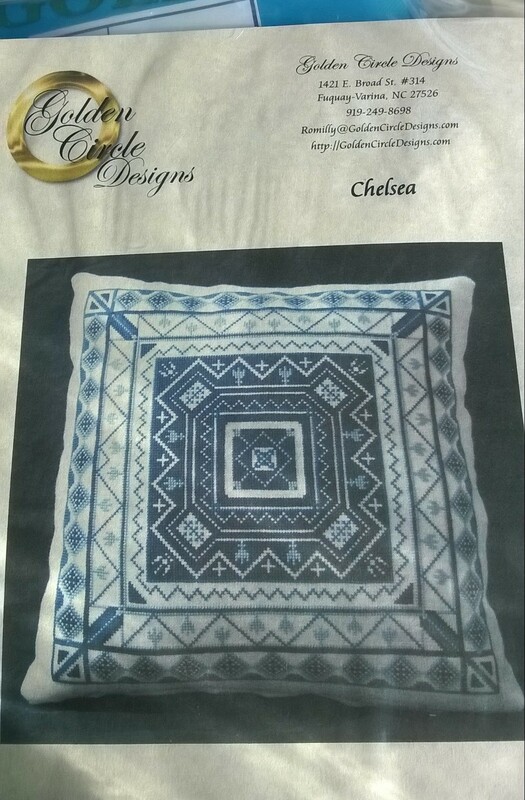 I’ve never won a write-in contest in my entire life, so when an unexpected parcel from Cross Stitch Gold magazine turned up at my door, I was naturally very excited. 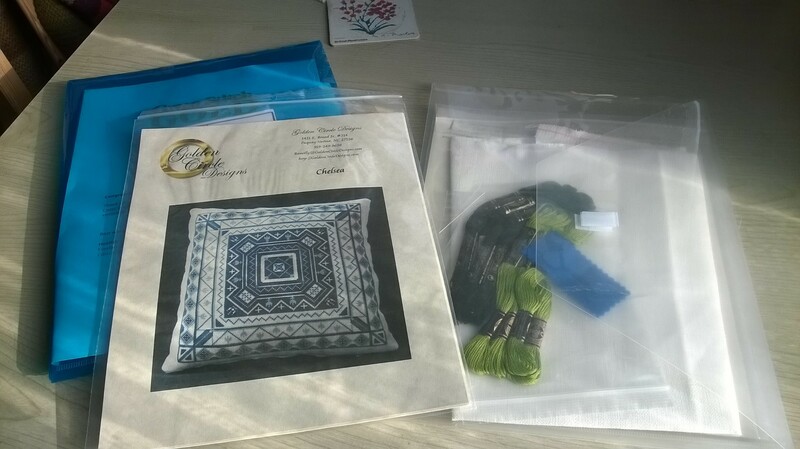 Since a lot of my friends and family know that I am an avid stitcher, I tend to get quite a lot of miscellaneous stash handed down to me, with people saying ‘oh, my Nan/Aunt/Sister/Whoever doesn’t sew any more, can you use this?’ The answer is always a resounding ‘YES!’ because who in their right mind would say no to freebies? Hundreds upon hundreds of colours! Naturally, being a total neat freak and spreadsheet junkie, I immediately set about sorting, cleaning, de-tangling and organising. 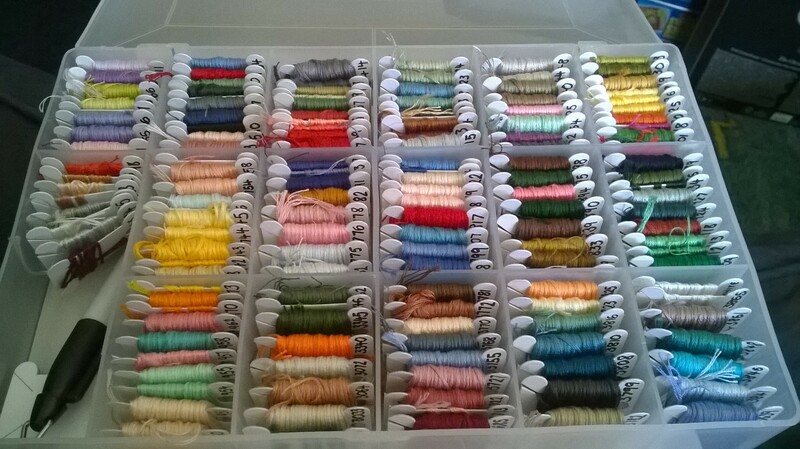 Look at how pretty they look all tidy and on bobbins! 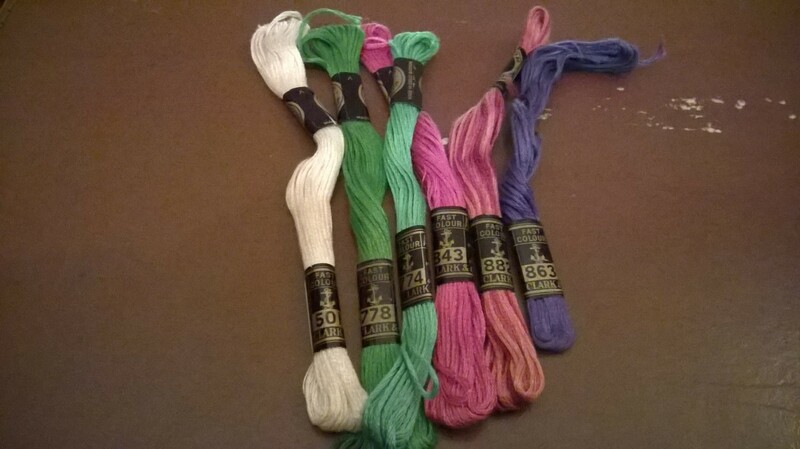 In the end, I took a long shot and emailed Coats Crafts, who now own and make Anchor threads, seeking advice directly from the source. Amazingly, I received a response in less than 24 hours including a PDF converting all the old Anchor thread numbers into the new ones, which I shall include here, because I was totally unable to find it anywhere else online: Anchor Stranded Cotton numbers Old To New. I was so pleased with how helpful they were. They also included information on how to make these old threads colour safe for washing. and advice about their care. Alongside this, I have completed a spreadsheet detailing what threads of each brand I have, how they correspond to each other, and in what box or binder they are each stored – because I am a massive nerd, apparently! I totally love how the binder looks, all filled with bright colours, and it really helps keep the threads clean and tidy, which is especially important given their age. 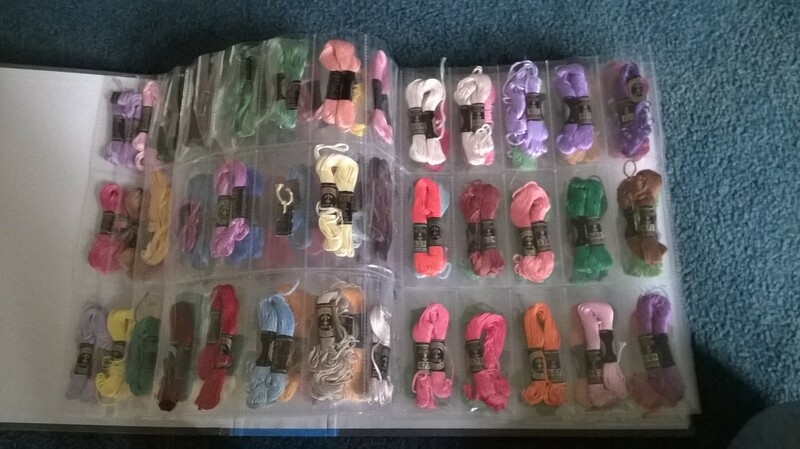 I now want to transfer all my collection into binders, because it looks great and takes up so little space compared to the enormous bobbin boxes, which I now have 7 of! I’m always so excited to find hidden treasures like this in charity shops! 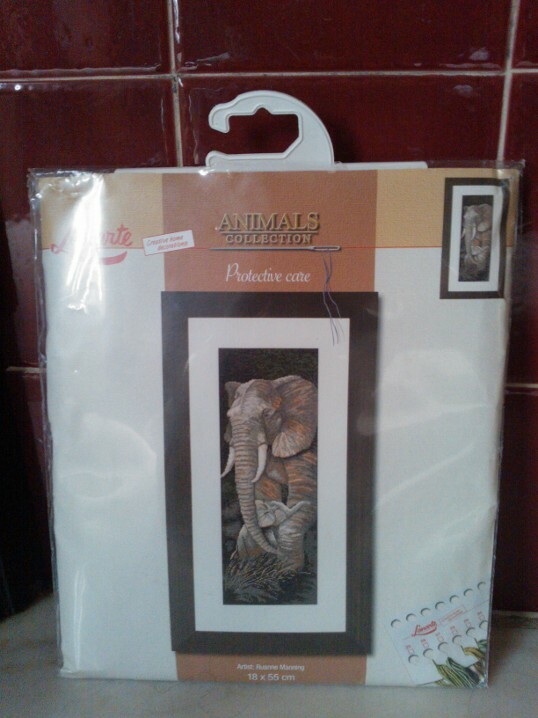 It is a complete, apparently unopened Lanarte kit of a super cute momma elephant and her calf for only a few pounds, as opposed to the £35 RRP tag still on the back from a UK craft superstore with outrageous prices that shall not be named here! 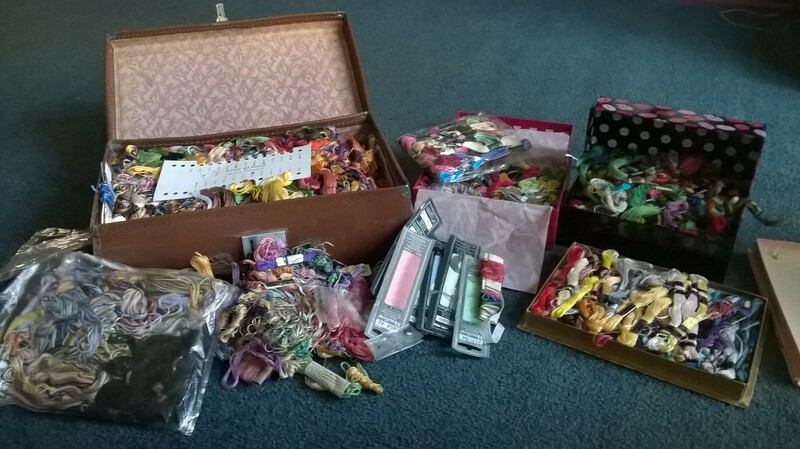 In the past I’ve snagged a box of old cross-stitch magazines and books, as well as some beautiful unfinished crewel-work tablecloths which I hope to get round to restoring and completing some day. I was lucky enough to see some elephants up close and in person at Kruger National Park, but these were not as placid and friendly as the ones in this kit – in fact, I think it is safe to say that it was a somewhat-near-death experience! We had not gone out with the intention of finding an elephant, and I suppose he was just as surprised to see us, and charged tusks-first towards our little van. The driver reversed at full speed around a stand of trees and out of the elephant’s sight-line, securing our escape! I wonder if he was also protecting a little family like these two in the kit. Hopefully I will have some new charts and finishes up later this week, as my commission pile is almost clear! Please feel free to check out my gallery of work – some for friends and family, some custom requests made to order, and some just for me! Do you need a unique, custom made greetings card or gift for a loved one? Do you need help perfecting some detailing on a costume or clothing? 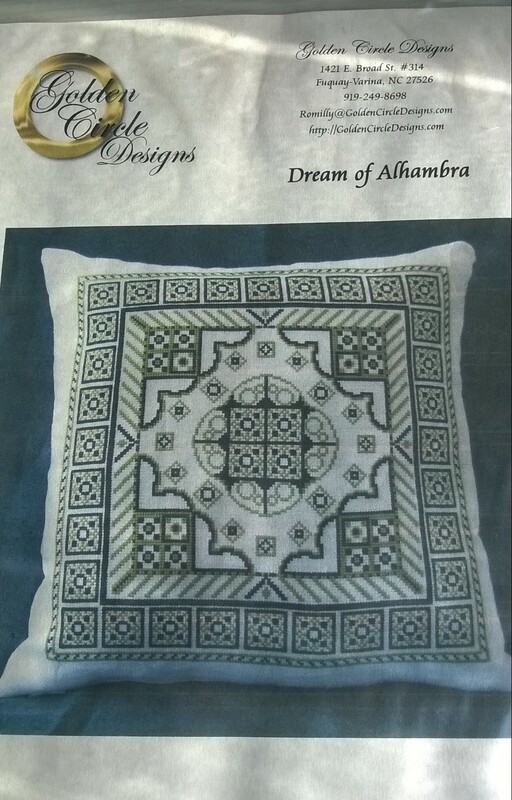 Do you want a logo or design embroidered onto a bag, shoes, or any other fabric based item? Contact me with your request, no matter how vague, complex, unusual or downright bizarre and I can help you come up with the perfect handmade, one of a kind solution! Please note that any content, trademark, character, logo, or other material remains the copyright of its respective owner(s), and I in no way seek to claim ownership of or responsibility for the above.